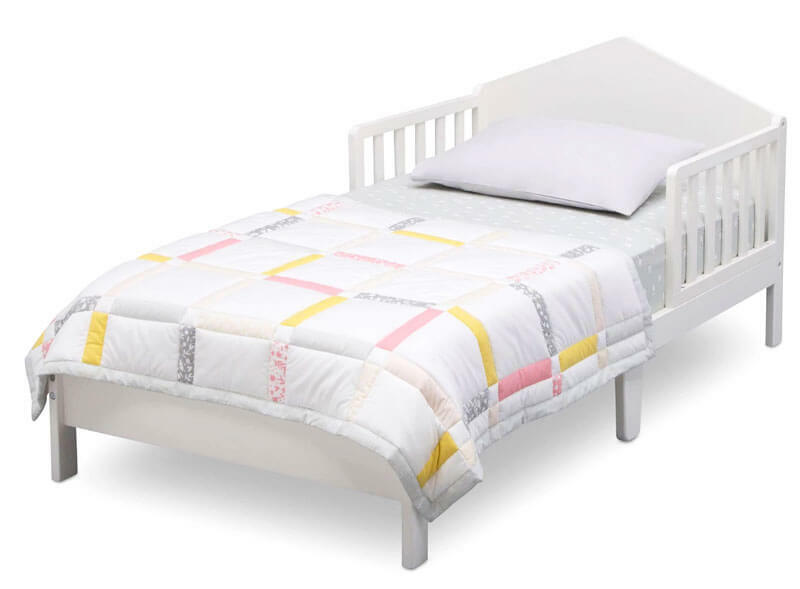 Maybe there’s a new baby on the way or your toddler has finally made the great escape from their crib, but you’ve decided it’s time to transition your toddler out of their crib and into a bed. How do you decide if you should buy your little one a toddler bed or go straight to a twin bed (or even a double)? While some parents find them totally unnecessary, they definitely have some benefits. 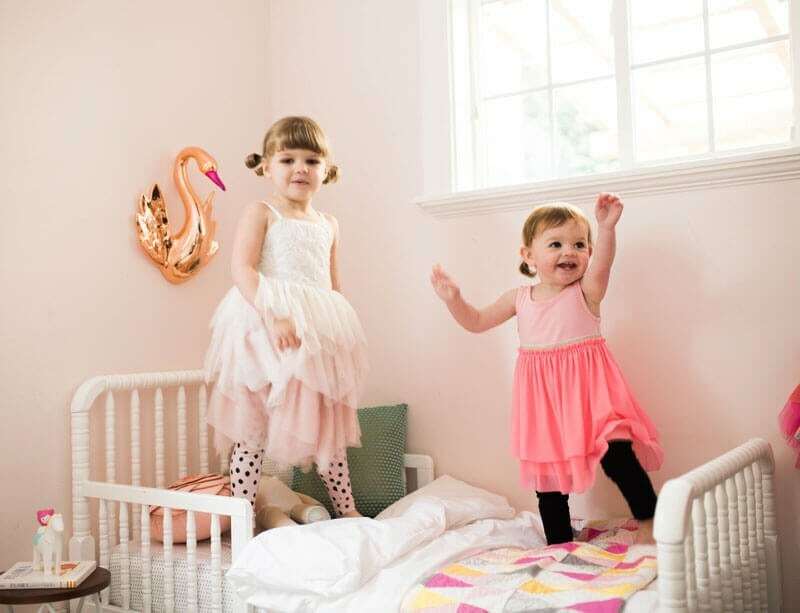 For starters, toddler beds are typically the same size as a crib and this may ease the transition to a bed for your child since the size will feel familiar (bonus that you won’t have to buy a new mattress!). They are also low to the ground, allowing your toddler to climb in and out on their own, and the side rails decrease the likelihood that they will fall out. They have made their great escape. Some toddlers figure out much (much!) sooner than you’d like how to escape their crib. A twin bed may feel like too big of a jump if this happens early, and you (and they) may feel more comfortable transitioning to a toddler bed. Save on space. Toddler beds take up much less space than twin beds, leaving more space for your toddler to play in their room. Potty training. A toddler bed will make it easier for your toddler to access the potty at night since they are lower to the ground. Also, changing the bedding is much easier and quicker than a larger bed, which you might appreciate when you’re up with your toddler at 3 am. Bonus that you likely already have a collection of crib sheets for frequent bedding changes. Also, if you haven’t already it’s worth checking to see if your crib converts to a toddler bed before buying a new one. Many convert by simply removing a side or you may be able to purchase a conversion kit that adds a side rail to your crib. Featuring a bell-shaped headboard, this bed is a classic style that will integrate seamlessly with the decor in any room. It’s priced at $79.99 and receives excellent reviews, making it a great buy for the money. BUY IT HERE. For a more modern look, this one from Davinci is among the most affordable. It’s available in four finishes, so there is one that will work perfectly in your space. BUY IT HERE. 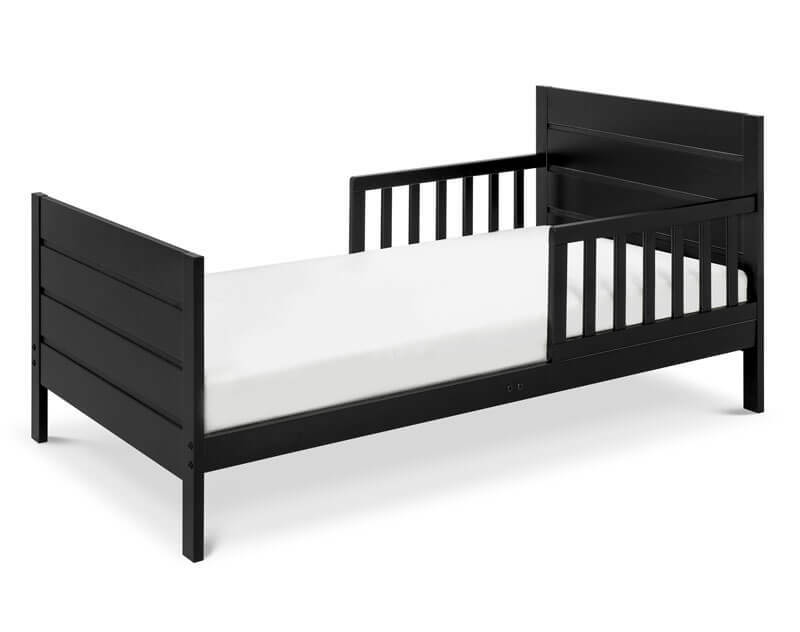 This toddler bed from popular home-decor brand Novogratz has a minimalist design at an accessible price point. 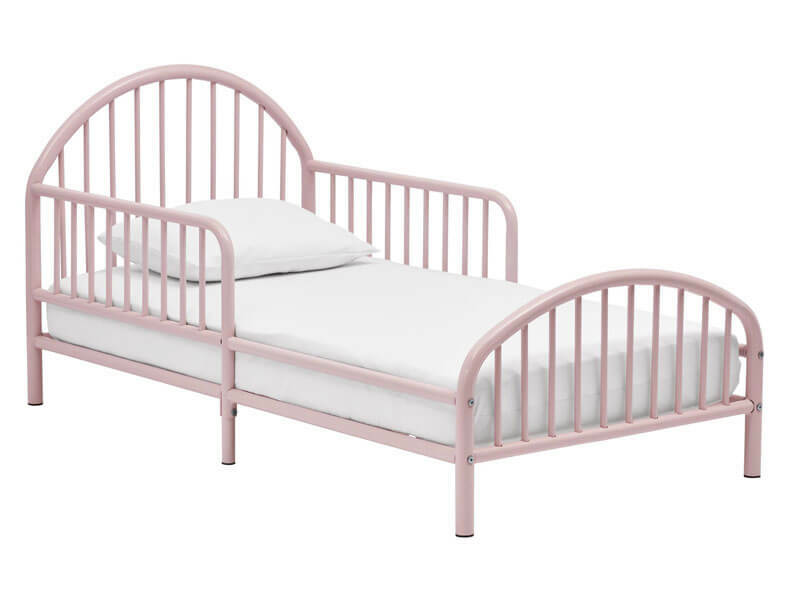 It features an arched headboard and footboard with slatted side rails and is available in three colors. 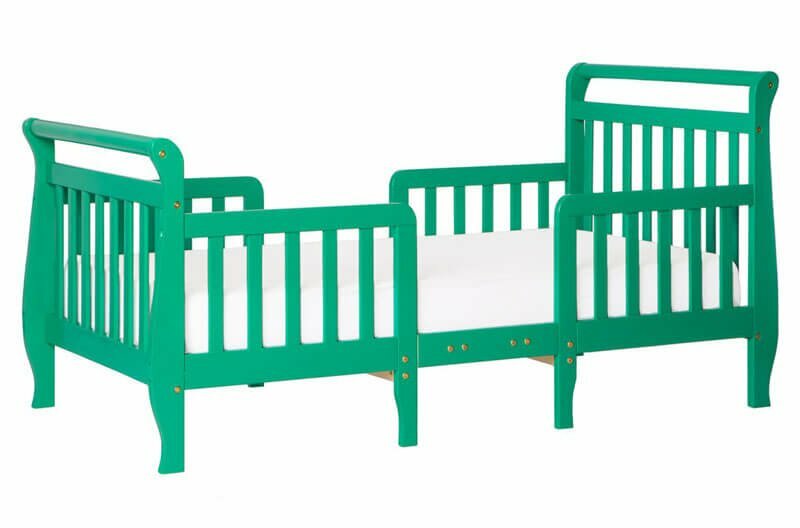 There’s a matching crib available if you want to coordinate with a baby sibling. BUY IT HERE. There’s no place like the home, there’s no place like home! The unique silhouette of this headboard gives it a little something extra and will provide endless hours of imaginative play. Available in white or gray. BUY IT HERE. 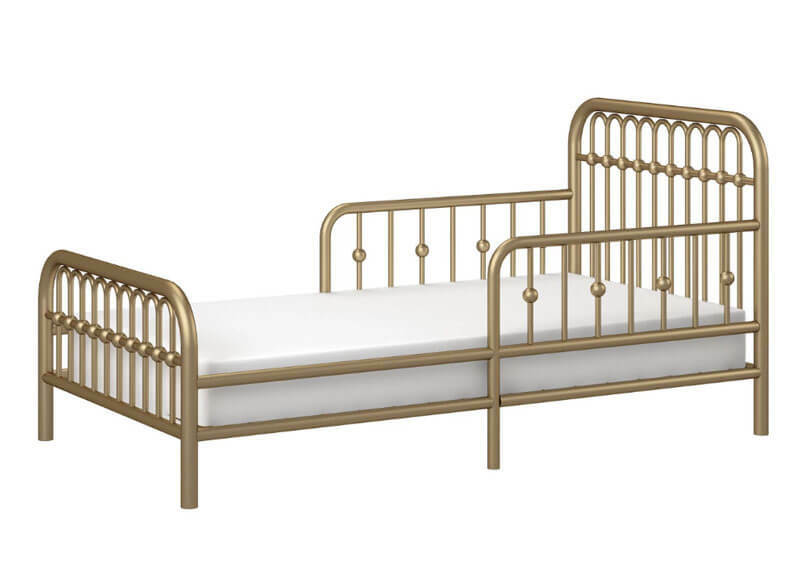 There is a lot to love about this sleigh-style toddler bed! 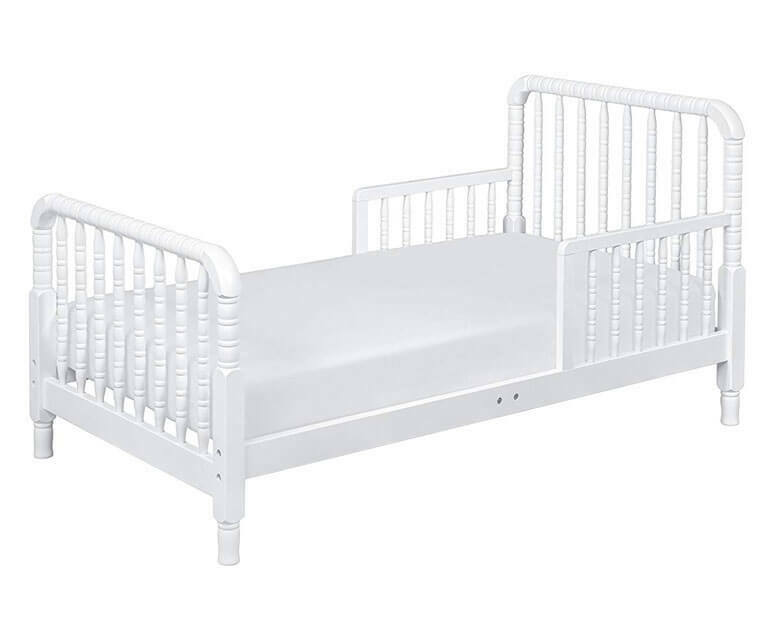 The rails that surround most of the bed keep your child extra secure, and it’s available in nine colors including one that your child is sure to love. And once you’re done using it as a bed, it can be converted to two chairs and a table that are just the right size for your toddler! BUY IT HERE. The adorable bed Monarch Hill is one of the most unique options. It is inspired by classic wrought-on furniture, but the powder-coated metal frame gives it a modern touch. There’s a matching crib here. Available in pink, white, gray, and black. BUY IT HERE. 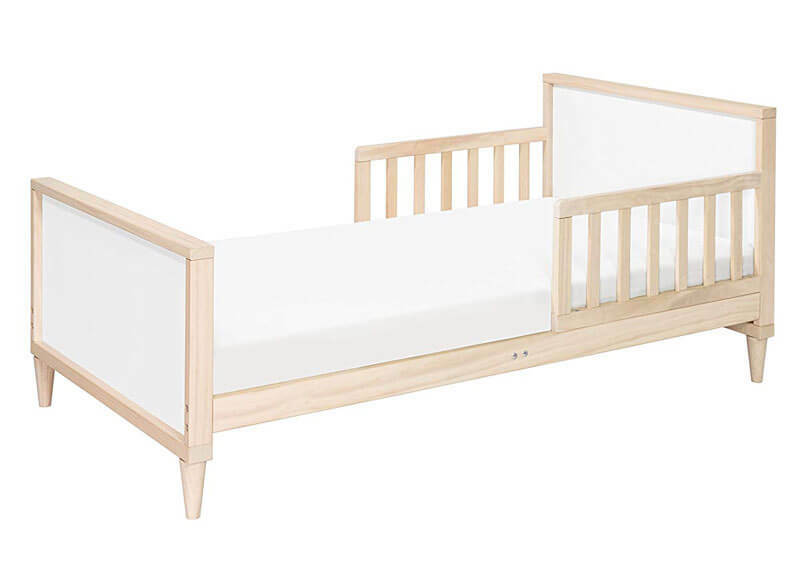 If you’re short on space, this toddler daybed has a drawer the length of the bed that you can use to store toys, bedding, or clothes. Plus the daybed style makes it a little more fun! BUY IT HERE. 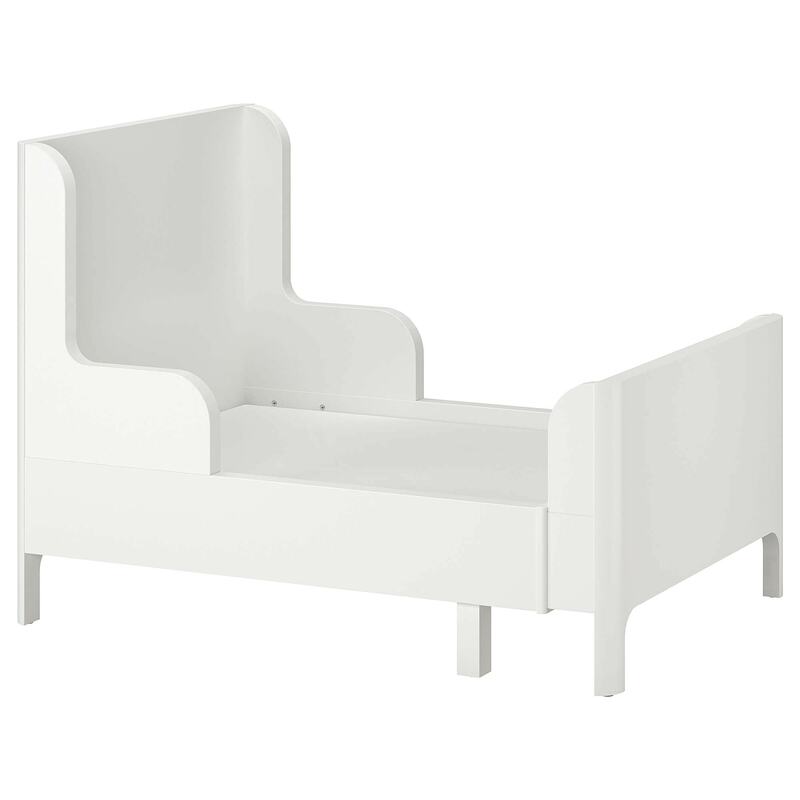 Inspired by classic mid-century design, the Babyletto Ziggy is the perfect choice for any modern kid’s room. It’s constructed from sustainable New Zealand pine wood and comes in four color options: washed natural, grey, white, and walnut. BUY IT HERE. 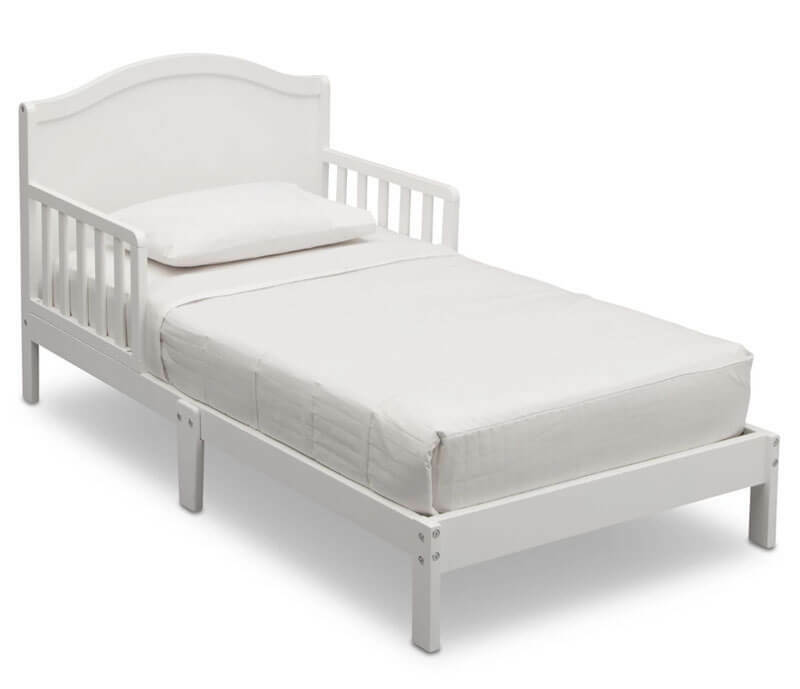 The Jenny Lind Toddler Bed is a classic that brings vintage-inspired design with its wood spindle posts. If you have siblings that share a room, there’s a matching crib available too. Available in white or black. BUY IT HERE. 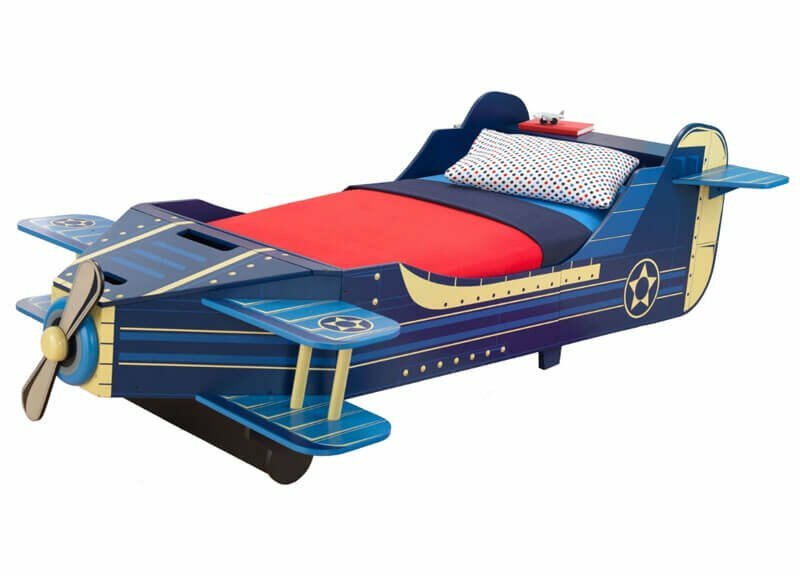 This airplane-shaped bed is one of the most fun options, complete with wings, a spinning propeller, and a secret storage space in the nose of the plane. It does take a few hours to assemble, but it’ll be worth it! BUY IT HERE. The bed has an adjustable design that will ease the transition to big-kid bed. 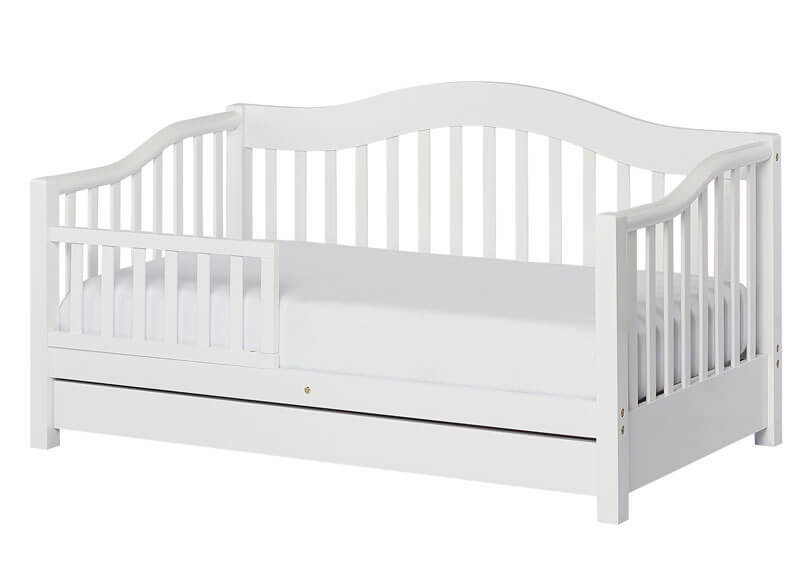 It extends from about the length of a crib out to that of a twin-sized bed. This feature will give you additional years of use but you will need to buy the coordinating mattress for a proper fit. Available in pink and white. BUY IT HERE. This toddler by Karal Dubois is one of the most unique options we found. 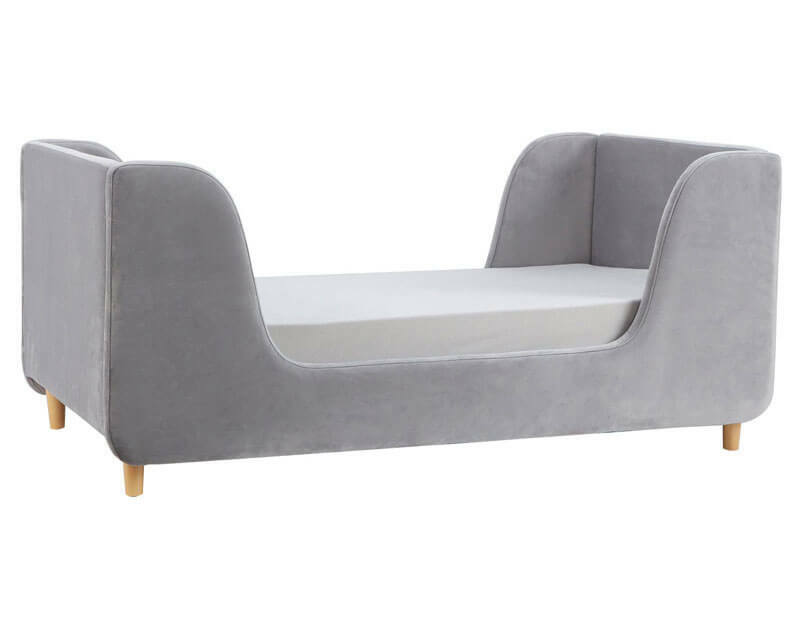 It’s both modern and playful, and the soft velvet rounded corners make it safe for playful tots. BUY IT HERE.